What is the best Rhodiola supplement? How can it help you with stress relief? Is it good for your health and well-being? I know you are here because you are looking for much-needed relief from stress. 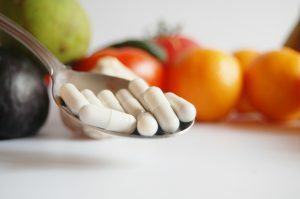 Sometimes supplements are exactly what you need to manage stress and feel better about yourself, your life and the world. Maybe sometimes it’s just knowing that you did something for your well-being, your health, and you only need that one understanding to feel better and see that everything isn’t wrong with your life. What do you want to know about this amazing herb? I will answer all your questions. If something isn’t answered in this article, ask me a question below and I will answer as soon as I can. Rhodiola (Rhodiola Rosea) is also known as the Golden root, Arctic root, Rose Root, Russian Rhodiola. It is a member of the family Crassulaceae, and indigenous to the Arctic and Alpine regions of Asia, Europe and America. This remedy has long been used in Ancient Greece, Russia for centuries as a tonic to help cope with cold climate and stress. Can Rhodiola help you with stress relief? How? This is an amazing plant, remedy that offers support for overall body functions and has great properties. Here are four great ways how Rhodiola help with stress relief and increase your body’s capacity to adapt to stressful conditions. Rhodiola Rosea is an adaptogenic herb that helps your body adapt to various physical, mental or environmental stressors. Isn’t it wonderful that this plant can protect us from the negative effects of stress? When you experience anxiety and chronic stress for a very long time, you can become depressed. Depression may come if somebody has insufficient serotonin levels in their body. But don’t worry, Rhodiola can also help with that. How? Rosavin and salidroside are active compounds found in Rhodiola that improves serotonin passage via blood. Isn’t amazing that Rhodiola can even increase serotonin by 30 %? You will definitely feel happier and less likely feel depressed again. This herb has a positive effect on preventing cardiac damage that stress can cause by increasing release catecholamines and corticosteroids. Rhodiola helps to reduce risk factors in heart issues such as blood pressure and blood sugar level. Do you know what happens to the immune system when your body is placed in a stressful situation? It becomes suppressed, because the body needs to use that energy to fuel the flight or fight response. But Rhodiola is the remedy that helps support the immune system. Rhodiola Rosea also benefits the immune system because of its ability to reduce stress. Stress reduces the body’s resistance to viruses, but if you prevent stress, you can stop chronic stress negative and even deadly impact on your immune system. I am sure we all know that a good sleep reduces stress. Rhodiola Rosea can be just the remedy you need to sleep more peacefully and wake up full of energy. Here are five reviews about five great Rhodiola supplements from Amazon. Description: This Siberian Rhodiola root extract supports a healthy response to stress. Rhodiola that promotes a healthy mood is ecologically harvested in Alpine meadows of Siberia. Each capsule contains 6 mg of active Rosavins. Description: Viridian Rhodiola Rosea Root supplement is a combination of Rhodiola Rosea extract with whole Rhodiola root powder. This dietary supplement can help your body to adapt various stressors, and it improves physical and mental health. Description: Nature’s Way supplement contains Rhodiola Rosea extract that is standardized to 3% rosavins and 1% salidroside. This Rhodiola supplement will increase your energy and is great for your well-being. It’s carefully tested and produced to the best quality standards. Description: This Rhodiola Rosea powder contains 3 % of rosavins. This herb can make you happier, because it increases serotonin that is known as happiness hormone. This company claims that for their supplements they use only the strongest and purest extracts available. Bulk Powder contains the highest strength extract that this company is aware of. Description: This supplement contains the highest potency of Rhodiola available: the standardized extract from at least 3 % Rosavin and at least 1 % Salidroside. It can help your mind during stressful times and also supports relaxation. Ingredients: Rhodiola Extract (Rhodiola Rosea) (Root)(Standardized to min. 3% Total Rosavins and min. 1% Salidrosides) 500 mg, Cellulose (capsule), Cellulose Powder, Silica and Magnesium Stearate (vegetable source). One customer said that in his opinion this supplement is potentially dangerous because he started to experience mild withdrawal symptoms when he stopped taking it. 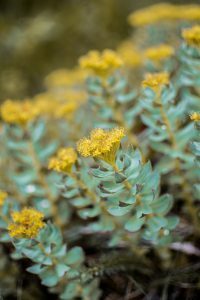 What Is The Best Rhodiola Supplement? After reading so many reviews about Rhodiola Rosea supplements, I understood once again, that we all have different remedies that help with stress relief. One supplement can help a lot of people feel better, but not everyone. So I can’t say for sure what is the best Rhodiola supplement for you. When you are choosing Rhodiola Rosea supplement, it’s important to look at the percentages of rosavins and salidroside. What do you think about these Rhodiola supplements? What is the best Rhodiola supplement for you? Did you use Rhodiola supplements before? Let me know below! If you are looking for the best Rhodiola supplements, CLICK HERE for more information. I would love to hear from the readers, so please leave me a comment below to let me know your opinion on this topic. Learn how to manage stress better, subscribe to my blog, and you will be the first one to read the upcoming articles about stress management.